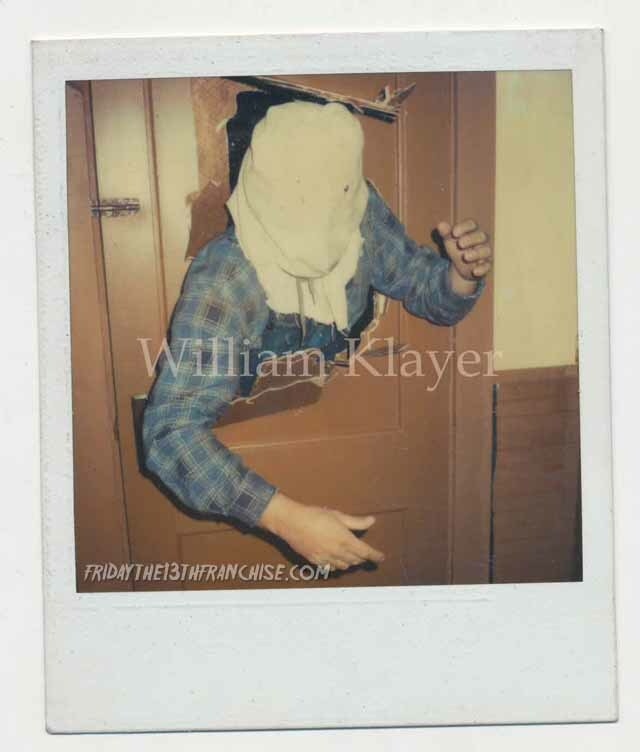 Within the last week we have been bringing fans exclusive behind the scenes images of Friday The 13th Part 2, courtesy of William Klayer, who worked as an electrician on the film. William is a Cinematographer in New York City now with a long list of credits who coincidentally is looking to direct a Horror film in the near future! Today's image is indeed rare and one of the most fun and awkward looks at Jason Voorhees from the film. In the photo pictured below, Jason is sticking his entire body through the door that he just obliterated with a pitchfork while chasing Ginny in the climax of Part 2. Let us know what you think of the photo and if you have any questions about them, please let us know. We will be showing even more behind the scenes photos from Friday The 13th Part 2 soon, so make sure to keep an eye out for more in the near future!